Home » BiZTalk Server for eCommerce » Data Transfer Technology » Server Exchange Technology » Why BizTalk Server » Why BizTalk Server Technology For eCommerce Solutions? Why BizTalk Server Technology For eCommerce Solutions? eCommerce server is a web-software that accomplishes the main functions of an online shopping portal such as product display, online ordering, and inventory management etc. The software works in association with online payment systems to process all payments. 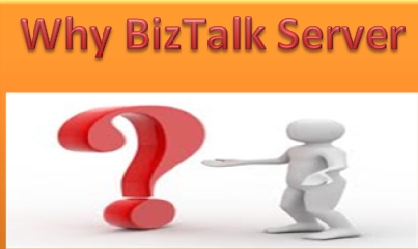 To begin with let’s understand BizTalk first. BizTalk is an industry initiative governed by Microsoft to promote Extensible Markup Language i.e. XML. It is the common data exchange language for e-commerce and application integration on the Internet. BizTalk acknowledge that the growth of e-commerce requires businesses which are using different types of computer technologies to have modes to share the data. Approving XML as a platform-neutral way to represent data transmitted between computers, the BizTalk group has given some guidelines, referred to as the BizTalk Framework, for how to publish schema i.e. standard data structures in XML and how to use XML messages to integrate the software programs. Why to opt for BizTalk Server? The answer is simple, it makes complex problems easier to solve. BizTalk Server integrates two key features i.e. orchestration and messaging. While the powerful messaging engine handles message transport and mapping, BizTalk Orchestration Services can orchestrate business processes consist of components, and messages that are sent and received using the BizTalk Messaging Service. It uses XML internally to define the data and structure of your business documents, and it uses standard Internet protocols like HTTP and Simple Mail Transfer Protocol (SMTP) to deliver these documents to their destinations, enabling you to inter operate with various applications running in any environment as long as those applications support Internet standards. Disparate applications: It's too difficult to integrate dissimilar applications within the company. Dissimilar reports: There is no way to generate integrated, timely reports from the various applications because the data is stored in so many places. No set procedure: Company does not have any consistent method for implementing the critical business processes. Programming overruns: It takes too long to develop integrated solutions for the company's enterprise resource plan. Modification difficulties: Once the internal applications are integrated, changing them is arduous and expensive. Partnering headaches: It's too difficult to integrate the company's business processes with the trading partners. Changing partners: If another business offers a better deal, it's too difficult to take advantage of this with the entire IT infrastructure that is required. However, business over the internet i.e. e-commerce are when integrated with these in-house applications can resolve these complex situations and reliability increases. BizTalk Server is designed to help you solve these problems. Using graphical tools like BizTalk Orchestration Designer and BizTalk Editor, BizTalk Server lets you design your unique business processes in a visual design environment. BizTalk Server then executes the visual diagram, providing rapid application development (RAD) for business processes. BizTalk server simplifies the workload by producing simplified data which can be evaluated easily. To summarize the whole, BizTalk Server is a technology solution that improves efficiency and reinvents business ideas and strategies. It boosts the features of e-commerce independent of an operating system and programming language. Offshore web application development work with smart technology Microsoft BizTalk technology. Thanks For Comment Please Share this Post to G+!